These Not Really Business Models? But Can Be Great Business Strategies. I will cover 25 Business Models for Every Startup (although some are not really business models) which I think is very useful for any startup entrepreneur or founder that is currently thinking of starting a business or is currently looking for startup funding. Heck, even large corporate should know about these business models, as innovation should be core to future sustainability. A Marketplace business model is defined as a business that charges a transaction fee via a platform for buyers and sellers. Why Does This Business Model Work For Startups? There isn’t much cost to run a server these days, and the costs only get lower. It’s just connecting supply and demand rather than dealing with inventory (a lot less risk). The sponsorship business model is defined as a business that makes money from sponsors, where the users do not have to pay. The term was coined right here at Nexea during one of our discussions. People do not mind unobtrusive ads or logo placements. Franchisees (the borrower) pay royalties (a percentage of revenue) to the Master Franchise to use the brand, and to get access to operations and know-how. Usually for location restricted businesses or capital restricted businesses. By franchising, there will be a steady stream of income without the need for too much additional capital. Local knowledge from each franchisee helps to adapt the business to different environments. The Reseller Business Model is defined as a business that gets ‘reselling agents’ to sell products on their behalf. Fewer salespeople needed, which reduces a lot of HR cost. The White Labelling/Private Labelling Business Model is defined as a business that allows ‘agents’ to use their own branding. Also known as the Cut out the middleman business model. The Disintermediation Business Model is defined as a business that cuts out the middleman. Cutting out the middleman reduces a lot of cost for the end-user. It creates a competitive advantage over more traditional businesses that had to rely on middlemen in the past due to reach constraints. Stable, recurring cash flows for the lifetime of each customer can be achieved, creating a financially healthy business. Certain segments of customers want to pay in many small chunks rather than one large chunk, in case they might want to cancel soon. The Leasing Business Model is defined as a business that rents out costly assets at high margins. Not everyone can afford expensive assets such as homes, cars, or jets. The Preorder Business Model is defined as a business that sells products before it is made or delivered. Getting cash up front is always good for cash flows in any business. Businesses can order exact materials from suppliers since they can now know the demand ahead of time. Businesses pre orders gave an advantage over those that don’t since they would get the sales first. Also known as the Pay as You Go Business Model. The Pay-Per-Use Business Model is defined as a business that collects money up front for users to use over time. Customers love it when they only pay when they use, so it is usually easier to get customers on board. Businesses that use a credit based pay-per-use system benefit from upfront cash payments. There is no need for upgrades as the users will just pay more for extra usage. The Freemium Business Model is defined as a business that offers a low-tier product for free (some businesses even lose money on this) and forces users to pay for higher-tier products or upgrades. Free-tier products are the bait to get users to sign up, to self-learn about the product, and then to get ‘stuck’ with the product when all their hard work cannot be transferred to a competing service. Once users are stuck with you, they will hopefully upgrade once they hit the free tier limits. Also known as the Hub and Spoke Business Model or the Razor Blade Business Model. The Bait and Hook Business Model is defined as a business that sells a highly needed service/product cheap (or if it is free, then this is known as the Freemium Business Model) and then makes money with complimentary products or upsells that will be required in the future. Baits work very well, with a very low entry point for customers to purchase the product/service. Unlike the Freemium Business Model (above), businesses have the option to break even on their initial sales rather than lose money. The Reverse Auction Business Model is defined as a business that takes a commission on trades where sellers competitively bid to offer services/products to buyers. This marketplace business is unique in that it attracts the buyers first in order to bring in sellers that are under pressure to make money. Typically works in markets that have an oversupply of sellers (highly competitive) and an under-supply of buyers. While this is barely a business model itself, I have included it to highlight that it makes more money using any business model above. The Monopoly Business Model is defined as a business that makes more money over their existing business model, by cornering the entire market and raising prices. By controlling the vast majority of the market, most customers have no choice but to purchase from a single company. Prices can be set by the company as high as customers are willing to pay for their needs to be covered, for the maximum profitability of any specific market. Luxottica – who owns Oakley, RayBan, and many others. I found these other business models all over the internet, but I doubt they can be fully classified as business models for the following reasons. Bundling iPod and iTunes or Fast-food value meals are more of a value-add strategy to stimulate more sales. The activity of ‘bundling’ alone does not generate revenue. iTunes’ revenue is more of a subscription business model, and McDonald’s, for example, is more of a franchise business model (franchising in itself generates income for the company). Charging different rates for different levels of service seems to be a pricing strategy. Telcos are in general more of a subscription business model kind of business. Getting a group of people to contribute content to access other people’s content is definitely not a way for businesses to make money. Wikipedia (which the HBR article referenced) does not make a cent and is actually sponsored, hence it is based on a Sponsorship Business Model. It is more of a business strategy to reduce the cost of ownership for things like private jets. Netjets or any other time-share businesses are really based on a leasing business model. This is surely a pricing strategy and not a literal activity of making money. Selling something for cheap like Walmart is more of a wholesale disintermediation business model. Product as a service is really fractionalization strategy performed by Zipcar (short term car leasing), and therefore actually based on a leasing business model. Standardising a product or service does not make money in itself. Communities are not a business model, but more of a user acquisition strategy. Angie’s list uses the sponsorship business model. I think it is a great business strategy to offer services on demand. However, I do not see it generating revenue in itself. Uber, for example, has really more of a marketplace business model where passengers and drivers meet. SaaS seems to be more of what they sell (software) and how they do it (regular updates at no additional cost, and usually web-based). A lot of SaaS companies make money via a subscription business model. This is more of a strategy to reduce delivery costs for example. For the user, there could be less waiting time at the store or clinic. This “self-pick up” strategy is used by Dominos Pizza, at least in Australia. Any thoughts on the above? Let me know below. I will be glad to explain/discuss/edit the above further. 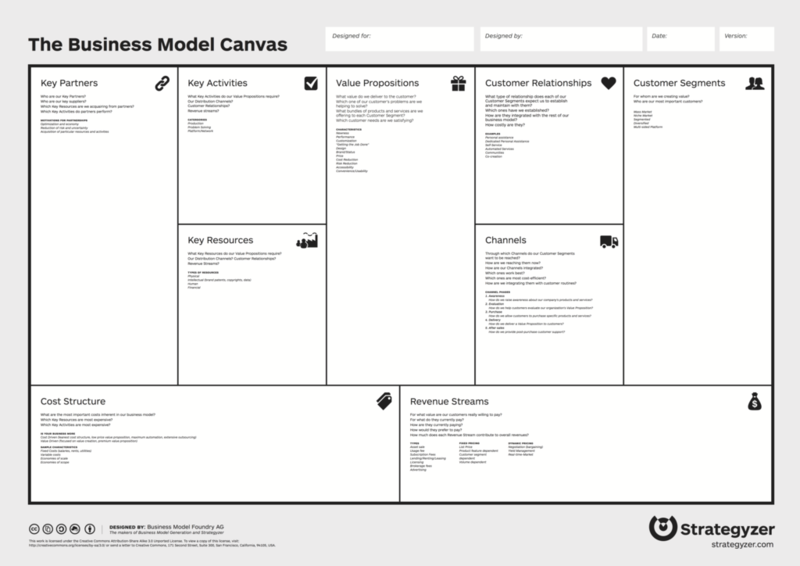 If you have any more ideas on business models, feel free to let me know too. And, be sure to like us on Facebook for updates! Accurately depicting the models ! Hi Ben, I’ve been quietly reading up your articles here …. it’s been helpful, thank you. However, while you give advise mainly on tech startups can I know what is your take on food manufacturing startups ? I’ve actually noticed that there are several local and international funders already starting to get into the action – a few are funding online chefs (food delivery) and i personally know one who is funding a specialized food manufacturing startup. What do you think of the industry? It really depends on what kind of food manufacturing startup. If it is technology driven, then it has the potential to be valued higher, based on higher growth potential and perhaps market reach. For example, technology can be used to speed up the entire ordering and delivery process, allowing you to take on new business much faster. If you have satellite kitchens, you could multiply your market reach pretty fast too. Some even have very smart business models doing things like one delivery man sending food to an entire office building which cuts cost by a lot. I think the industry is ripe for disruption. In Malaysia and the rest of SEA, the food industry is still largely untouched by technological innovation. What we see and hear today is only the beginning. The F&B industry in general right now is beginning to get into consolidation as well due to increased competition and tigher margins. Just watch any shopping mall for a year and try to notice how many F&B outlets close down and reopen. This can only push the F&B market to further adopt more innovations as the pain increases. Yeah, I agree with you that F&B really have to adopt more innovations. I also feel the thing with food going forward is to find a way to be flexible so that a certified food manufacturing plant is able to satisfy demand according to current trends / needs / wants and investors should look at it as a vehicle that generates revenue consistently over long term and well managed in terms of controlling expenses. I think for a food manufacturing company working on a fast exit plan like tech startups may be mismatched – as i feel having technology is one thing, while the need to secure vital raw materials is another, which is really critical. Depending on the manufacturing process, I personally think investing in mid to large scale food manufacturing startups with a view to supply to a mass segment could be a very expensive exercise that may not end well for all parties. It is also outdated due to its high entry cost – technology, raw materials, skilled labour to a certain extent. What is your opinion? Food may not have a long shelf life in terms of market trends and current taste buds. I don’t think anyone is having wagyu for dinner everyday, even if they can afford to. And while many tech startups disrupt the market with low pricing, the food industry may not be able to afford the same strategy. Plus the stress that comes with selling a different version of tomyam among many others makes food startups unable to scale fast if investors are looking for traction in the online food delivery segment. The industry may look impressive as a total but maybe not look the same after breaking it down. What area would you be evaluating if you were to invest in a food manufacturing startup Ben? Business model? Asset creation in terms of the plant itself such as a creating a GMP and Halal certified plant in the early phase? And products? Potential revenue in the shortest time? On the mass scale production, I do agree for certain segments. I think plane food is horrible – but still, some airlines do surprise me. Have you tried food made by Turkish Airlines? Amazing. Somehow, they’ve found a way to sustain the costs of great quality food and made it on a massive scale as well. They serve over 60m passengers a year. If you ask me, Airasia food is not too bad as well (compared to many others) although not as good as Turkish Airlines. So, it seems that there are ways to make mass-produced food great as well. It’s just that nobody does it here yet. I have to say that although the costs of meals from tech companies are low, many are still struggling with the delivery costs. Standard delivery by Pos Malaysia is RM7. I believe food delivery costs are not too far from that figure. To add RM7 to any meal is a huge portion (25% to 50% per person) of the price paid by end consumers of lets say RM14 to RM30. Still, I do see this segment taking off in the region. We look at the team, market size, product, etc. The full picture. We also have to put in a lot of work to help startups succeed in terms of mentoring, making connections, etc all in the name of creating more value. As for our criteria for investment, a rule of thumb would be that if your startup or business cannot grow a minimum of 30X in 5-10 years, then it is not for angel investors. This is because each and every startup has to have the potential to cover the losses of all the other failed startups, as generally 90% will probably fail. Huge revenues in the shortest time we can consider a bonus – but it’s all about profitability at the end. If your business cannot turn profitable one day, then we will not touch it. A great example is Uber – who even today cannot make a gross profit sustainably. You can read a little about it somewhere on this blog too. I personally do not look at licenses/certifications because I know some great F&B brands that do not have the Halal certification for example, but they do serve Muslim friendly food at the same time. So, it is not a reliable indicator of failure or success for me. Yeah, I’ve read the Uber article here. And yes, food delivery costs is around the amount you quoted. I’ve tried Airasia and MAS food and would think it’s not bad, haven’t tried Turkish airlines food though. I see where your expectations are now and I appreciate your expert advise, thank you. Nowadays, F&B is very specialised and segmented, very few can scale to the levels you are referring to but it’s possible. It’s a perishable business that’s why in-flight catering may be ideal as you know how many meals should be made on a daily basis with data, and I believe this way food wastage can be minimised and profits maximised. And is exiting the business the end objective of all angel investors? Yup. If it’s not a scalable business, then it’s probably the same old with lots of competitors around you. So that’s why it’s important to scale. In the next 10 years, F&B can only become more and more competitive. Looking at advanced economies, it means a lot of franchising or being stuck to one specialised restaurant. Behind that is the entire supply chain that is open to be disrupted today. If you ask me, there is a lot along the supply chain where technology can cut costs and improve efficiency by at least 50%. Some investors do not mind staying for growth/dividends in the long term. Some want to cash out eventually to give other entrepreneurs a chance. Sometimes VCs prefer to see less shareholders involved. So, the answer is it depends. The general goal, however, is to exit within 5-10 years. Great question on this hybrid business model! Do see #2 Sponsorship and #11 Freemium. First, Freemium is a combination of free + premium, meaning that they must charge customers a premium if they want more features. Second, Sponsorship or Advertising business models are always free, but you have to look at advertisements – no charges. It definitely does happen. A good example is Google G Suite where Gmail shows advertisements even though the rest of G Suite like Google Drive is a freemium service. However, Gmail was always there before the rest of G Suite came about, so they never really got to remove ads from Gmail. So, that was probably how G Suite has a hybrid business model. Many apps also show ads until you pay – so they do work. Just wondering, have you seen many high growth Startups using ads+freemium? Most free app outside have ads in it but some require us to pay for an ads free version. But in the long term, when every user convert to paying customers then no more earning form ads so is better to remain free. Another option is free for user but charge the businesses.